It's a wall scroll. No, wait, it's cool. Sure beats a multiplayer skin. 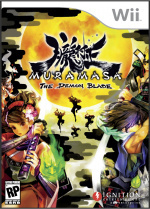 The beautiful Muramasa: The Demon Blade is set for a North American release this fall. Huzzah! If you've been on the fence about making it a Day 1, maybe this little nugget'll help tip the scales. Over in Japan, pre-order patrons could net themselves a pretty stellar five-foot scroll of character and stage art, which is up on the higher end of early adopter bonuses in our book. According to Joystiq, it looks like that scroll will be making it state-side via GameStop. 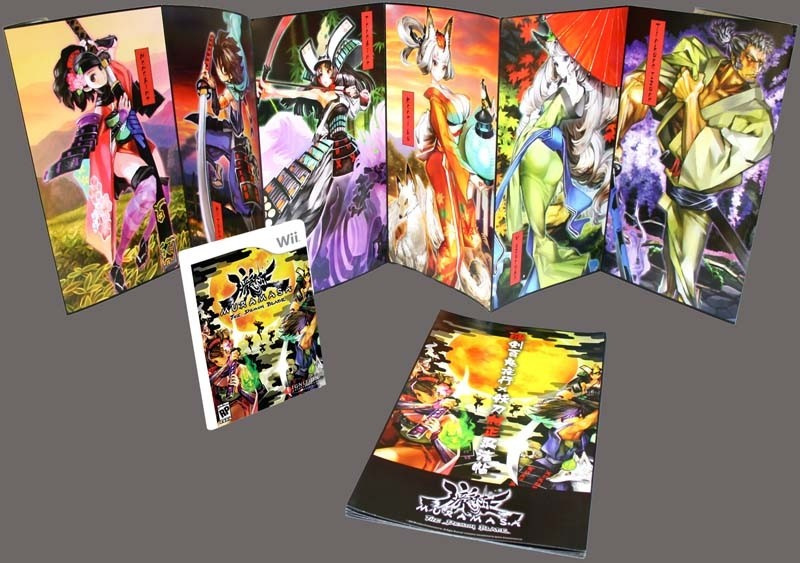 No word on whether or not the back of the GameStop scroll will feature the same stage art as its Japanese counterpart, or really any art on the back at all. Fingers are firmly crossed for that. The retailer also lists a Sept. 1 release date, which just so happens to be a Tuesday. Could this be the big day? Fingers in knots for that one. HOLY HELL THAT IS AWESOME!!! DO WANT!! hope its cdn gamestopz too!!! Usually I don't care about art books for games, but a game like this screams for one. I'm pre-ordering for sure! So let me get this straight. 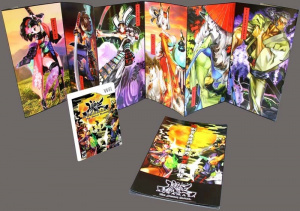 If I were to go in and pre-order this ASAP I get a sweet wall scroll? THAT IS COOL!!! I know what I'm pre-ordering tomorrow!!! This will be my first preordered game. In keeping with the game, that looks really nice. I hope there's enough left over for UK. There's no way I want a big game poster of this, but the game still looks great. If this is true, it'll be my second pre-ordered game. Meh, just some more artbooks? Pass. I never look at those anyways. I am interested in this game, but wasn't really planning on buying it at launch. I just pre-ordered the Metroid Prime Trilogy from Gamestop (so many bonuses! ), and I think that will keep me occupied at the time. Also, I kind of agree with Mickeymac...I seem to always get excited about stuff like this, then a month later its in the trash. @Sabrewing: The Conduit isn't the first, last or only game to come with a multiplayer skin for preorders. I'll preoder this and Metroid Prime Trilogy when I get home from Vacation, I better start working to get some money, Muramasa comes out September 1rst and Metroid Prime Trilogy comes out August 24th, gah there are too many good games coming out! !